• work in the UK. The date your employer has to start automatic enrolment at your workplace depends on how many people are employed by your employer. Your employer will write to you to tell you when automatic enrolment is happening in your workplace. • Final salary schemes – Final salary pension schemes can also be called defined benefit schemes. In a final salary scheme, your pension is linked to your salary while you’re working, so it automatically increases as your pay rises. Your pension is based on your pay at retirement and the number of years you have been in the scheme. Your pension entitlement doesn’t depend on the performance of the stock market or other investments. • Money purchase schemes – Money purchase schemes can also be called defined contribution schemes. The money you pay into the scheme is invested with the aim of giving you an amount of money when you retire. Your pension is based on the amount of money paid in and on how the investments have performed. You’ll usually pay a percentage of your wages into the scheme and your employer may also pay a regular amount in but this isn’t always the case. However, your employer may have to offer you automatic enrolment into a workplace pension, in which case they will be obliged to make contributions. Workplace personal pensions and stakeholder pensions work in a similar way to the ones you can arrange for yourself. Your employer chooses the pension provider but you will have an individual contract with the pension provider. Group personal pensions and stakeholder pensions may be an option if you are not eligible to automatically enrol into your workplace pension. From April 2016 one immediate effect of the big chance happened – members with a workplace pension such as the local government and NHS pension scheme or private sector pensions, stopped paying the reduced National Insurance contributions rate of 10.6%, which reflected the fact that they are opted out of the second state pension. Instead, they pay the standard rate of NI contributions – 12% on earnings between £8,060 a year and £43,004 a year – and earn a higher state pension. Anyone earning more than £43,004 a year, or £827 a week, continue to pay 2% on earnings above that figure. You need to know that if you don’t want to enrol into the pension scheme, you can choose to opt out. However, if you can afford to join the scheme, it is a good idea to do so. This is because your employer has to make a contribution into the scheme as well as you making your own contributions. Also, you will get tax relief on the contributions you make into the scheme. 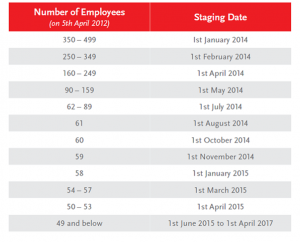 Over the next two years all businesses with more than two employees must set up auto-enrolment for their staff. This must be in place by your “Staging date” Which is determined by the size of your business. Fortunately, Outsourced ACC is here to help to set up your auto-enrolment workplace pension scheme. We will take you through what you need to do to set up auto-enrolment for your staff, we can set up the process for you and even provide the letters you will need to send to your staff, taking away any stress and hassle. For a free, no-obligation call from Outsourced ACC to discuss which package would best suit your business, please call 0208 249 6007. What is a work place pension? This government scheme has been set up to ensure all employees are set up with a pension by 2018, meaning they can begin saving for their retirement. Once enrolled in the scheme an agreed percentage will be automatically paid into the employees’ pension pot by themselves, their employer and the government (in the form of tax relief) each month. Auto-enrolment is set up by the employer and automatically enrols all employees into the workplace pension scheme. 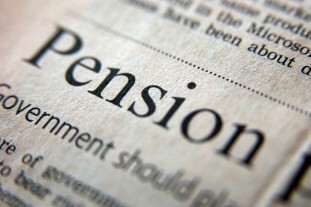 Can employees opt out of auto-enrolment? Yes, they can. The letters you need to send out to your staff as an employer explaining how they’ve enrolled in workplace pensions will give them the option to opt out. Who do I need to set up workplace pensions for? You must make an employer’s contribution to the pension scheme for those workers. When is my staging date? For any further questions you have please call 0208 249 6007, we will be happy to help.